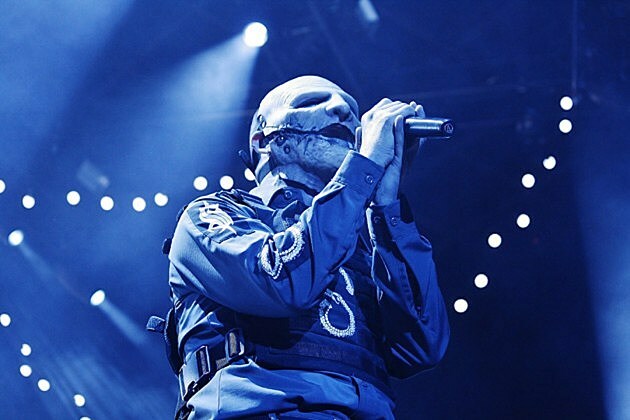 Slipknot have just announced a summer 2015 North American tour, and it’s massive! The masked marauders will be joined by Lamb of God, Bullet for My Valentine and Motionless in White on the ‘Summer’s Last Stand’ trek. Slipknot had a monster year in 2014. They released ‘.5: The Gray Chapter,’ which topped various ‘Best of 2014′ lists and lit a fire under both old and new Slipknot fanatics. Percussionist Shawn ‘Clown’ Crahan rightfully called ‘.5′ the “most beautiful epiphany,” as Slipknot proved they were able to craft a fantastic album following the passing of bassist / main songwriter Paul Gray and departure of game-changing drummer Joey Jordison. Motionless in White have continued to ascend thanks to ‘Reincarnate.’ The 2014 full-length gave MIW the highest charting position of their career by hitting No. 9 on the Billboard 200 chart. Slipknot are in the midst of a European tour with Korn and King 810. Prior to the summer trek, Slipknot will play a series of headlining springs U.S. shows with Hatebreed. For those dates, click here. As for the North American ‘Summer’s Last Stand’ run, check out the full list of gigs below!